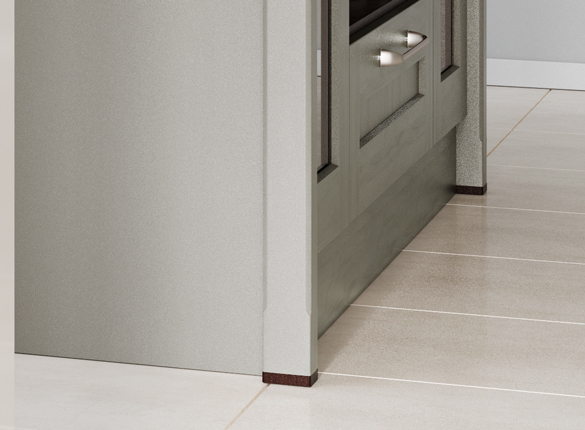 Those looking for something more distinctive will find it in Rivington’s deep-chamfered centre panels and full height larder doors. 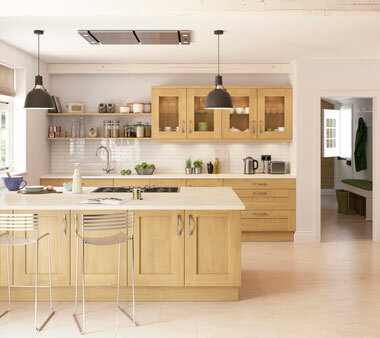 Crafted using the finest European Oak, Rivington is available in a choice of painted Cream, Lacquered Oak or bespoke paint finishes. 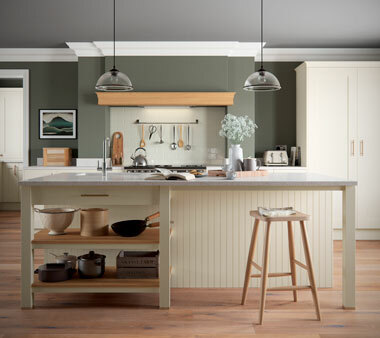 Here the island is painted Dove Grey, with Calico on the lighter units. 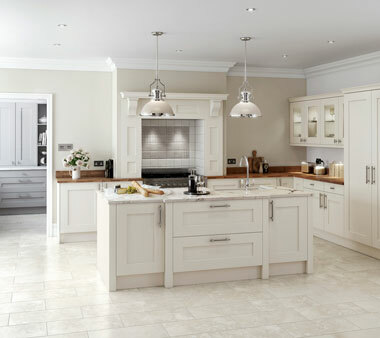 Contemporary handles and colours easily update Rivington’s traditional feel. 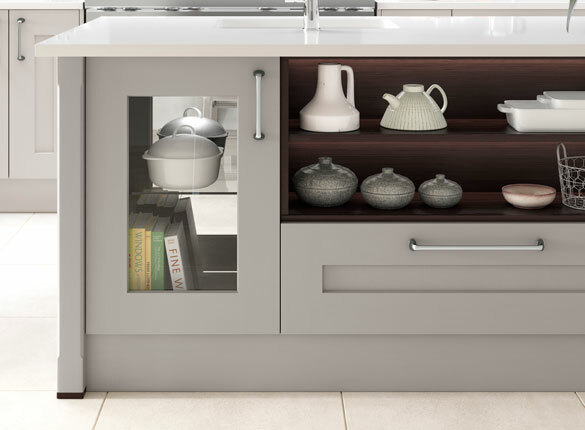 Contrasting inset shelving is a stylish touch that gives extra space to display ornaments or tableware.